This blogpost is part of a MindLab assignment, looking into the use of social media within teaching and professional development in education. My initial view of social media as it pertained to teaching and professional development (as of when I started my secondary teaching career, just on 5 years ago now) was that social media was just that - social, and I didn't originally see the possibilities and opportunities. Since that time, my use of twitter, blogger and facebook groups has grown extensively; and including categories mentioned by the NZ education council (shown below in the image) - I have also used social media for collaboration (edmodo, prezi, google drive), networking (facebook, linkedin, google+), image sharing (pintrest), video sharing (youtube), micro-blogging (twitter) and blogging (blogger). Google drive: partly because HPSS uses this as its primary, ubiquitous platform for both teachers and students, but also because I now don't know how I could survive not having access to a plethora of documents from all aspects of my teaching, and others teaching, as well as admin documentation, all at the end of the internet. Twitter: a great way to connect with other educators within NZ and overseas - in particular the regular 'chats' such as #edchatnz and #scichatnz provide a great way of connecting to other educators as well as a platform to be challenged on issues within education that may not come up from our usual professional circles. Facebook - private groups: in particular the 'science teachers of NZ' group, amongst others. This also provides a (more private than twitter) way of connecting with a larger circle of educators, who come from a variety of backgrounds. The education council states: "social media can be an effective tool for engaging with learners and communicating with parents, whanau and communities. Teachers who model good social media use will grow learners who apply positive, respectful values in their interactions on social media platforms." Overall, I feel that these are the positives associated with social media use. Collaboration: both between teachers, and with students - platforms such as edmodo, google+ and twitter provide instant feedback in both directions between students and teachers, and can allow students to contribute their own resources to a class etc. You don't know what you don't know: exposure to ideas, strategies and people outside of my usual teaching bubble - allowing me to expand the way I teach. This has mostly happened through use of twitter and private facebook groups. Over-connectedness: Making sure that teachers do in fact get some down time away from their careers. This is especially important as teachers already take plenty of work home with them - it's important to make sure they are not connected to these social networks all the time, as this can contribute to burn-out. Risk of sharing: being careful about what is shared in public forms by both teachers and students; making it very clear what is and isn't acceptable. Echo-chamber: sometimes, after prolonged use of the same social media platforms, such as twitter, it becomes apparent that the same ideas are circulating over and over, just with new people attached to the ideas. It is important to remember that there is a very select group of people (who self-select to use twitter, and therefore often share fairly similar points of view). This blogpost is part of a Mindlab assignment, relating to the evaluation of contemporary trends or issues that are influencing and/or shaping education. "Almost any job that can be described as a “process” could be done by a computer, whether that computer is housed in a robot or embedded somewhere out of sight. The interesting take on these skills is that they are interdisciplinary, transferrable skills or capabilities that will allow our current day students to become experts in their fields, rather than training them to leave educational facilities already experts. 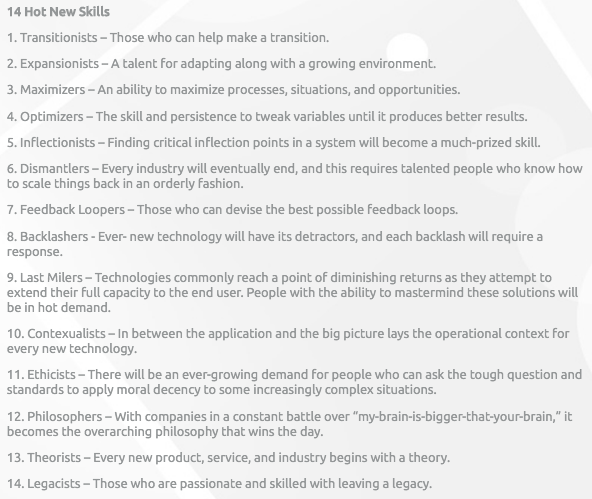 Many of the skills listed above also lend themselves towards a mindset as opposed to being standalone skills in their own right. I feel that at HPSS, we are supporting the development of student capabilities for the future in several ways: Blending learning areas together, to allow for the visible and explicit transfer of skills that are traditionally silo'd into their respective learning areas; giving students the opportunity to bring skills and knowledge together to find and solve problems through Big Projects and now Impact Projects with our Year 11 students; and emphasising the importance of a dispositional curriculum that underpins so much of what we do. 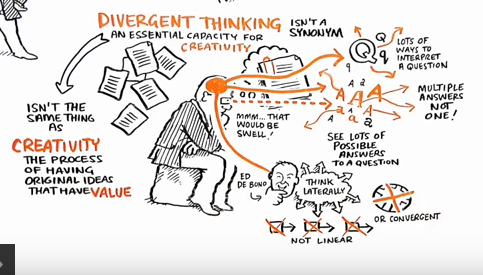 The aspect of this that appeals to me most is the idea of divergent thinking - the concept that rather than having one set answer to a given problem, or one way of thinking about things, there are instead a multitude of ways of approaching issues and questions, and using creative thinking to provide possible solutions. Strategies that can promote divergent thinking are detailed well at this site and include such things as deferring judgement - so generating ideas without immediately dismissing them; brainstorming both individually and in groups - as a way of not limiting the potential answers to just one response; combining ideas - using ideas from others and building on them. Although there are certain restrictions in science, especially as pertains to NCEA external achievement standards, there is certainly a strong correlation between divergent thinking and the nature of science, where ideas are built upon, and alternative methods and approaches are tested without judgement. I do believe that I encourage this type of thinking, and in the combining of learning areas such as social science with science, or visual arts with science (as I am teaching this semester), you gain the benefit of having different ways of approaching problems and thinking outside of the usual silo'd learning area toolset. Every time I speak to friends working within the 'real life' science sector, and when I reflect on my own experience working in industry, the consensus is that the real skills required are in problem-solving, generating creative solutions by drawing on multiple experiences, asking questions and taking answers from other areas of not only science, but other areas of research also. As a brief example, my work in the lab routinely involved researching methods other labs had used (general research skills, interpreting the science), figuring out how I could apply their methods to the equipment and resources I had available (analysing, mathematical calculations, critical thinking), physically constructing equipment (technology, design process in iterations of equipment), gathering data and analysing it (mathematical calculations, scientific interpretations of data), checking and collating work (collaboration with colleagues, communication), evidencing and documenting (writing, considering application of data, testing hypotheses)... just to name a few. Most of these do not include the rote learning of factual pieces of science information - information required could be hunted out; it was the skills of being able to do something with the information that were more important. So, teaching and learning within an interdisciplinary school means that not only do we combine learning areas, and teach through context rather than knowledge-based topics, but also that we have critically evaluated how all the learning areas fit together, and the common language that comes from that. Because all teachers across all learning areas are using common language, and we do not 'silo' subjects, no student has ever questioned why we learn skills that are not directly science-related; they don't pigeon-hole their skills and understanding. This alone is huge, as it means they have a larger range of learning tools to draw from in a given situation. We also use a common theme for each term for our year 9&10 students - this also helps to cement the connections between learning areas, and to explicitly show students how different learning areas approach the same concept or theme. The challenges so far have been in sometimes finding obvious connections between some learning areas, but in turn this has lead to a deeper search for connections, and often a more authentic one. To be honest, I struggle to find too many challenges that are not able to be overcome. We still support our own learning areas by meeting regularly and discussing how we are doing things, but for the most part we automatically find connections and inspiration outside of our learning areas - including our offices which are a combination of learning area teachers. Some of my goals this year are to further expand the connections I make to external experts - using people in industry and universities to expose our students to an even wider range of the application of ideas. I have done this in the past, either bringing experts into school, taking our kids outside of school or skyping guest presenters; I hope to do this on a larger scale this year. "Members of a community of practice are practitioners. They develop a shared repertoire of resources: experiences, stories, tools, ways of addressing recurring problems—in short a shared practice" (Link) - this blogpost addresses some ideas around my own community of practice. My community of practice is made up of the educators within HPSS, and also outside observers and teacher-friends who are keeping a keen eye on what we are doing. Our core values lie within establishing and maintaining a student-centred focus to our practice, as well as trying to enact change on a larger scale, to model how teaching and learning can be done differently, but with equally good outcomes for students. Therefore our largest stakeholders are our students and their families, but to a lesser extent we also want to show that our approach has value to other educators. This also means we hold ourselves accountable for trying new strategies, amending and changing when things don't work perfectly, and always striving to create positive experiences for our students alongside high personal and academic achievements. What are the current issues/challenges in your community? How would you or your community of practice address them? I believe that some current issues relate to evidencing around personal and academic success in relation to the different approaches we take. All of our teachers at HPSS make anecdotal remarks and observations about the high level of achievement and success that many of our students are making, in comparison to our collective prior experience at other, more traditional schools. However, as we are yet to have a full cohort run through the full spectrum of NCEA, we likely have detractors outside of our community that value only one facet of evidence, which we currently don't have. I feel that we collectively need to continue documenting the progress that our students make - in a passive, objective way, simply presenting examples of work that our students produce. Many of our educators are active bloggers, and this is a way of presenting what we are doing to the outside world. Observers outside of our school know that we are doing things differently - we need to be visible in showing them how and why (which I believe we are already doing reasonably well). What changes are occurring in the context of your profession? How do you think you or your community of practice should address them? For communities of practice that are trying to shift the way that we approach education to best support our current learners, the onus is on them to maintain a voice and momentum for change. 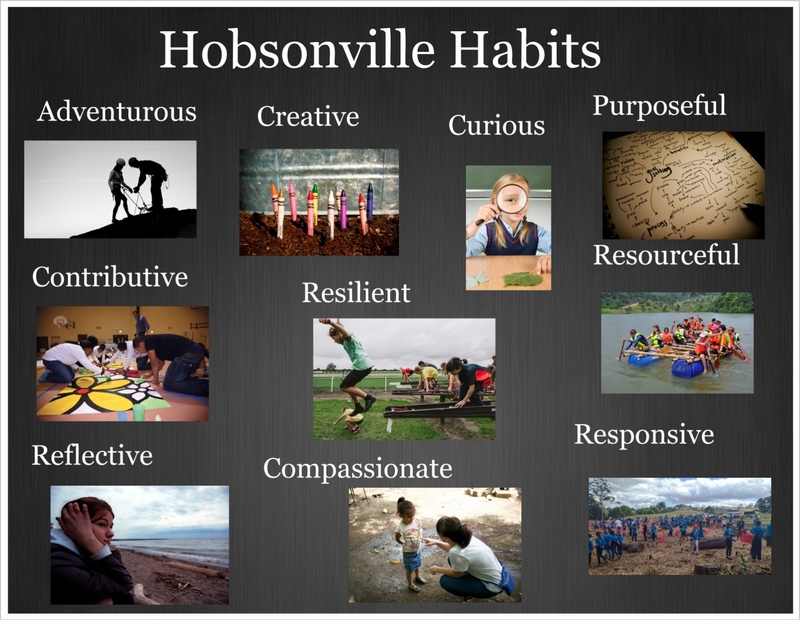 We are constantly critically evaluating our curriculum at HPSS, and refining approaches in response to student and staff feedback, however we also need to ensure we don't become too introspective and insular, and continue to look outside of our own practice. I agree that being a teacher involves a pathway of lifelong learning, and as such, we need to hold ourselves accountable to critically reflect upon our own practice, and change when necessary. It can be challenging and testing to reflect on situations and experiences that have not gone to plan, and to question how and why you should do things better next time - another point made was that it can be easy to avoid this reflection, and fall back on pre-conceived notions and ideas of how classrooms should be run. It is certainly more taxing and tiring to genuinely question your own practice. The article mentions that over-reflection can also lead to self-doubt and destruction of confidence - especially if the term 'critical' is taken to have negative connotations. Therefore reflection of this nature needs to be well-supported. Reflection activities with students should be done in a nurturing and natural way, with multiple ways of reflection presented to them, and the concept that sometimes there isn't a right answer. This model is not specifically discussed within the paper by Linda Finlay, however it includes the skills that underpin critical reflection, and also resembles the circular model of Gibbs. 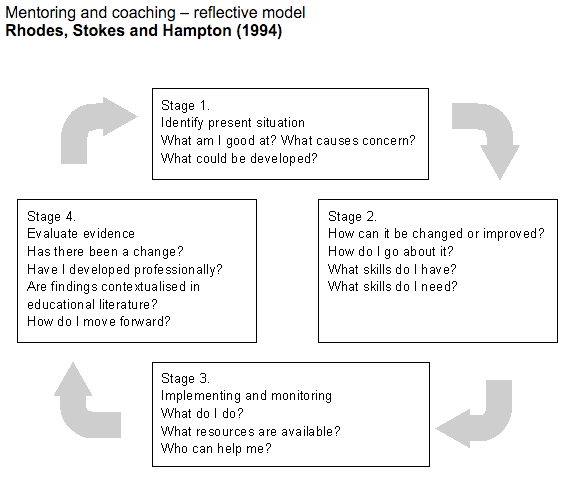 I relate most to this model of reflection as it has clear parallels to the overall teaching as inquiry process. 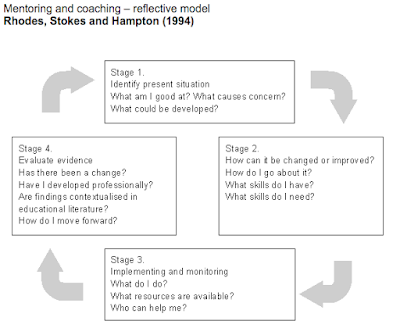 The model detailed above appeals to me as it is scaffolded and is question-based, but mostly deals with strategies that could be used for change (eg. what skills do I have/need?) - other models rely on intuition and feeling, with Gibbs' model placing a fair amount of questioning on the feeling and analysis of good/bad outcomes. However, I believe that as a teacher, I automatically consider my feelings within a situation of concern, and would rather spend energy dealing in facts and approaches to change situations. This is also relevant for me, as teaching at HPSS requires many new approaches and strategies all the time, and I need a model for reflection that is straightforward to use. The article also emphasises that models like Gibbs do not allow for a more external approach, and instead focus only on the internal aspects of reflection - meaning that bigger, broader ideas regarding change may not be automatically approached. This is obviously hugely necessary - as we say to our students: 'you don't know what you don't know', and big picture thinking and reflecting is essential for lifelong learning as teachers. I will start with a disclaimer: all of the (insanely hard!) work mentioned in this post was a huge collaborative effort from all of the awesome science team at HPSS (Cindy, Danielle, Cairan and Aaron), and took a fair few months to pull together, and we are still tweaking and modifying as time goes on. We have plans to document this journey and initial outcomes in more detail too, but this is just a preliminary overview of our pathway so far. As part of a MindLab assignment, I have been asked to reflect on how I have developed in my own use of the key competencies, and key changes in my own practice. I have decided to use the most significant change in how I am teaching as an example of this, which I will outline below. The material and ideas broached in the MindLab course reminded me that the mindset and approaches to teaching and learning that we follow at HPSS are already a long way ahead of many other secondary schools. This experience reinforced that we need to make the most of our special situation to push the boundaries even further and really question how we do things and why we do things the way we do. Therefore, my use of key competencies centred around thinking and relating to others. My use of thinking involved bringing our experiences of teaching science over the last 2 years at HPSS, as well as making decisions based on critical thinking and questioning how we can further develop our science curriculum. We did this by reflecting on what we thought was going well, but also where there was room for improvement, as outlined below. Relating to others involved taking the experiences of all of our science team, and to be able to incorporate different ideas into a shared pathway forward. This wasn't a quick process, and it took a few iterations to go through the sharing and negotiating processes; but this time was vital to give everyone enough chance to process and think about where we wanted our take on the science curriculum to end up. Part of the impetus for change in the way we were teaching science at HPSS came about by a session from Grant Lichtman, who asked us to reflect on "simple rules" that we could apply to course design (this is the video of his visit also). This prompted us to think about what we envisaged a science graduate profile would look like - what do we want our students who take science through to the senior/qualification years to be able to do/think about/be? The New Zealand Curriculum (NZC) defines key competencies as capabilities for living and lifelong learning. With our whole approach to teaching science allowing students to engage in science. 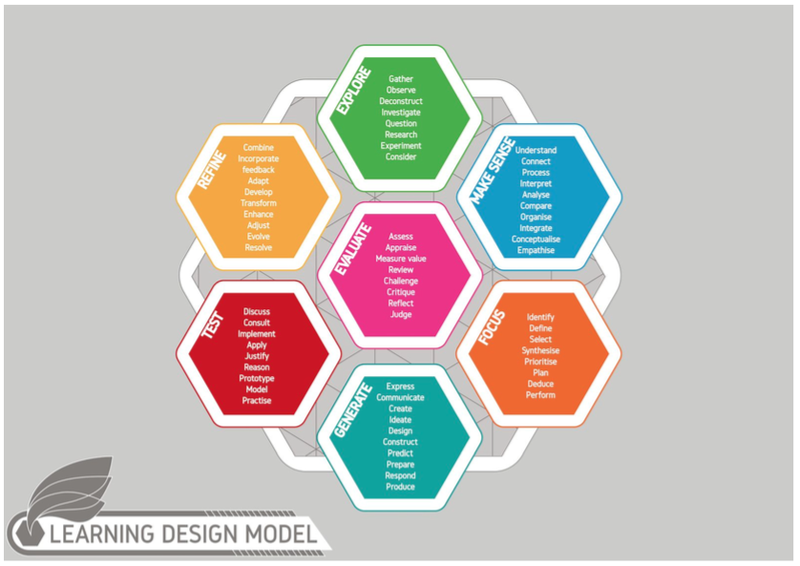 So capabilities underpin the competencies, and in order to maximise student's exposure to develop these aspects of their learning, we needed to change the focus of our teaching - making the capabilities, and over time competencies, visible and explicit. We still need to teach the 'strands' of the science curriculum, but these become contexts through which students can develop their science capabilities - interweaving skills and knowledge, rather than teaching solely knowledge through 'topics'. As mentioned, this is only a brief overview of changes we have made, with more to follow.... but we welcome questions and feedback! My goodness, it has been a while since I have updated this poor blog. That is not to say that I haven't spent the last few months exploring my teaching practice and being challenged and engaged in problem solving, in fact just the opposite: every day at HPSS requires thinking and engagement from the teachers as well as the students, you can't just rock up to class with some worksheets that you use every year in the same topic for that year level. All modules are new because the students make them new - they give us the contexts and show the direction that we need to cater to, and so keeping only a few steps ahead of the students is always challenging, exciting and time consuming! Tomorrow HPSS welcomes in a new cohort of year 9's - the third such cohort. I imagine that our spaces are going to start feeling more full, and possibly that the older students are in for a bit of a shock having to share their spaces and teachers with yet another year group. I am really looking forward to having 'senior' students (Qualification years) as well as 'junior' students (Foundation Years), and seeing how or if the students have changed over the last 6 weeks, as well as welcoming new students to our special school. I am grateful that I have met with every single student in my learning hub (14 of them), along with their parents last week - it makes me feel like I know all the newbies a bit already, and because they've met me and been in our learning community space, hopefully the first day of secondary school is less daunting for them than I know it was for me. Over the next few blog posts, I hope to review some of the work I was involved with last year, as well as make some more directed reflections on specific issues relating to the MindLab course I am completing at the moment.